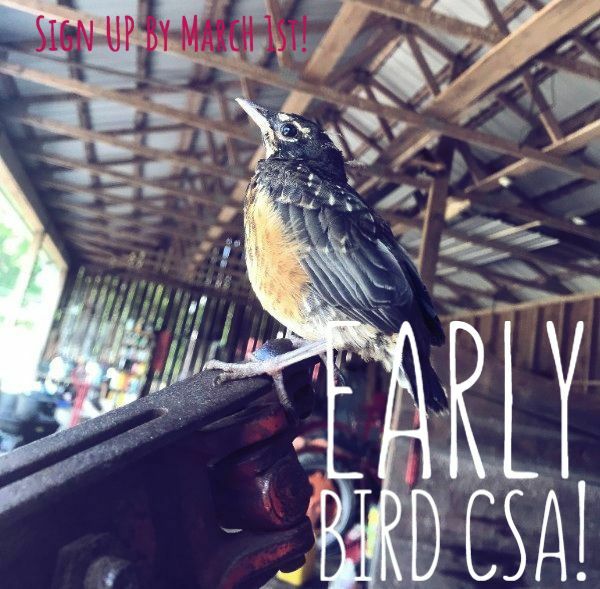 Annual Letter & Early Bird CSA Sign Ups! We wanted to sincerely thank our farm community for your continued support of the farm. Winter is the time when farmers' reflect and plan for the next growing season. We want to share with you some news from 2018 and our plans for the 2019 farming year. At the end of 2018 we experienced a heartbreaking loss. One of our farmers, John Cordle, passed away. John started farming at Freedom Food Farm last summer and was immediately a friend and part of our farm community. John was a conscientious and dedicated livestock farmer who had farmed in many places, including the Western US, South Asia and throughout New England. He could often be seen at our farm moving livestock fence and cows to new pasture in all weather (usually pouring rain), while singing out loud or laughing at a podcast. John was always quick with a joke, a gentle caretaker of our animals, and his presence is much missed by all of us. 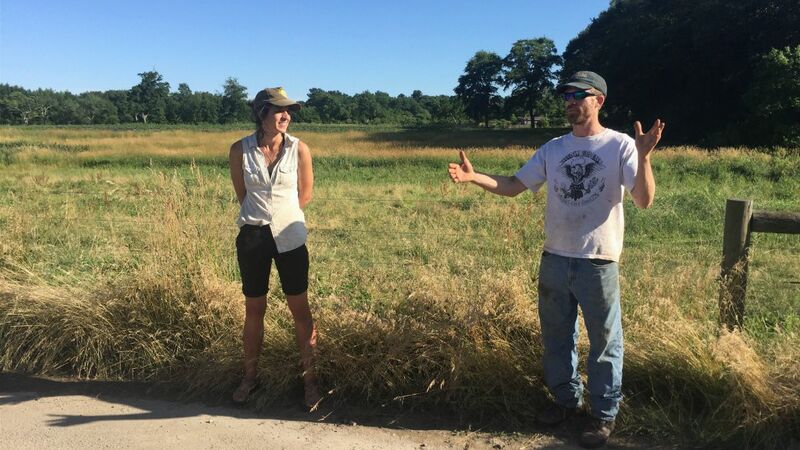 The first seven years of FFF has been focused on building a year-round, full diet farm to feed hundreds of families in RI and MA. This year we are working towards making the farm more efficient, productive, and sustainable with a smaller team of farmers. Our future focus is on creating more balance at the farm and correspondingly in our lives as farmers. 2019 is going to be a year of change for the farm in a few ways - we are scaling down some of our vegetable production, so we can be better stewards of the land and soil. We are incorporating no till practices and aiming to grow many of our crops on a smaller scale in a 1/2 acre, no-till, intensive market garden. The farm will grow about 5 acres total in vegetables this year (between our storage field crops, market garden & greenhouses), and another 3 acres in grain - rye, wheat, triticale, & oats for 2019. At our peak vegetable production in 2014 - 2015 we were growing over 15 acres of produce. Our goal is to still grow food abundantly, but with less environmental impact, decreasing waste and by creating a deeper reciprocity with the soil. This means we are saying goodbye to a few crops that don't thrive on our farm, but we are planning to grow more of these seasonal favorites. Our pasture-raised livestock are an integral part of soil health at Freedom Food Farm & help us create a diverse farm ecosystem. After nearly 12 years of raising chickens commercially we are going to take a break from raising birds in 2019. We will still have eggs until mid-summer & some chicken will be available for our summer meat share members. It's hard for us to step away from offering these products, since we deeply value them; but we know the rest of the farm will benefit greatly from the freed up time and labor. We will continue to raise heritage pigs, sheep & cows on pasture and rotate them with a small flock of our own birds. The last update we wanted to share is that after many years of wonderful community gatherings, workshops, tours, hayrides and hosting collaborative events at the farm, we are going to leave that important role to other local farms and nonprofit organizations. To achieve better balance at FFF and grow the best food we possibly can, we need to invest more time into farming regeneratively for both our community and future generations. We still welcome folks to visit our beautiful farm during the summer season & the beloved tradition of CSA PYO will continue. Thank you for celebrating the seasons, learning about different facets of sustainable living and creating a interwoven community that values holistic, local farming & eating with us. Our CSA members and regular farm customers are an incredibly important part of the farm. By sourcing your food from us you are directly supporting regenerative agriculture and helping us create an impactful community farm that feeds and nourishes all of us year-round. Please come say hello to our farmers at the farm store and markets this season and our Early Bird CSA sign ups are now available for summer shares at the farm*. We look forward to growing more nutrient-dense food for you in 2019. *2019 CSA Notes: We have a few changes to our 2019 CSA offerings & pick up times at the farm store, details are on our website and in the sign up - we think these changes will improve the CSA! 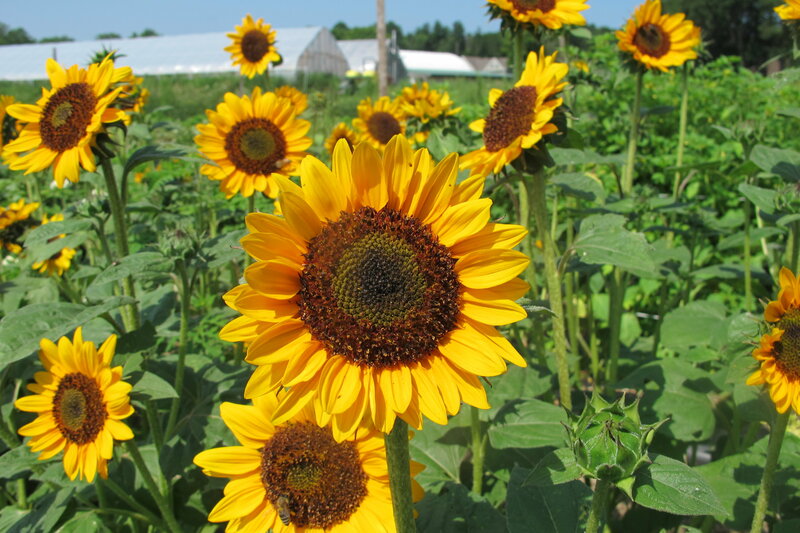 The farm will be our only CSA pick up location this summer. As we are not able to offer CSA shares at the Union Square FM in Somerville (due to market rules) and will not be attending the Attleboro FM this season. For market customers & our off-farm CSA members we recommend our farmers' market membership program as an alternative or join the CSA at the farm and pick up when you can. Early Bird Summer CSA Sign Ups! >> Sign Up By 3/1 for an extra discount on summer CSA shares!! find 2019 CSA info here! Ready to join? > Sign up in the farm store, by mail or online*! Is a holistic approach to farming with nature. The focus is on doing more good than harm. The end goal is to sequester carbon from the atmosphere into our soil to help mitigate climate change. More carbon in the soil also leads to healthier soils and crops. We build soil health through our pasture-raised livestock, embracing no till practices, building biodiversity and by farming with organic and biodynamic principles.